Find free classified ads for Construction equipment, building supplies for sale and to buy in Blackburn. Shown below are classifieds for Construction equipment, building supplies. Please use search box above to find other items in Construction equipment, building supplies Blackburn or look at the Blackburn for neighboring places in the locality. 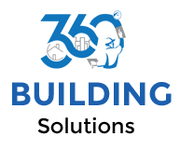 360 Building Solutions, we are situated in Accrington, and cover Burnley, Bolton, Rochdale Chorley, Blackpool, Fylde, Hyndburn, Lancaster, Pendle, Preston, Ribble Valley, Blackburn, Rossendale, South Ribble, West Lancashire, Manchester and surrounding areas. We are a growing trade, developing from strength to strength each day. United Kingdom free classified ads for Construction equipment, building supplies, Blackburn, Construction equipment, building supplies free ads Blackburn, Construction equipment, building supplies for sale Blackburn, Construction equipment, building supplies to buy in Blackburn. This page is a listing of classified ads for Construction equipment, building supplies category in Blackburn. This section includes classifieds for sale and to buy in Blackburn. Construction equipment, building supplies Blackburn ads Blackburn, Construction equipment, building supplies classifieds Blackburn, Construction equipment, building supplies free ads Blackburn, ads for sale Blackburn, ads to buy Blackburn, FREEADS in UK. Find here ads for sale, to buy and rent in Blackburn. Goods for sale in Blackburn, vehicles for sale in Blackburn, Blackburn real estate for sale, Blackburn property for sale, property for rent in Blackburn, business ads in Blackburn, Blackburn business classifieds, services in Blackburn, Blackburn services ads, jobs in Blackburn, pets for sale in Blackburn, Blackburn dating, Blackburn cars for sale.